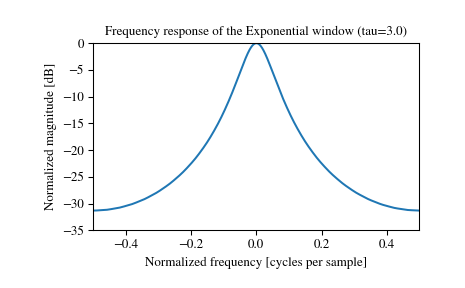 Return an exponential (or Poisson) window. Parameter defining the center location of the window function. The default value if not given is center = (M-1) / 2. This parameter must take its default value for symmetric windows. 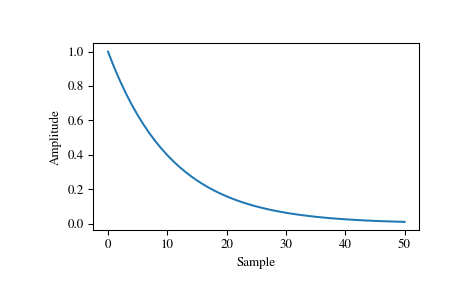 Parameter defining the decay. 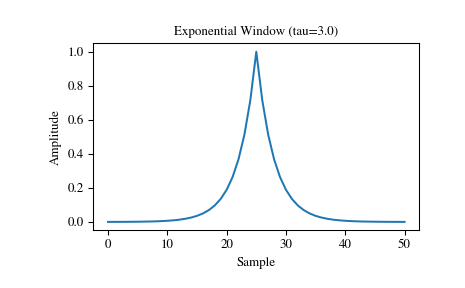 For center = 0 use tau = -(M-1) / ln(x) if x is the fraction of the window remaining at the end. S. Gade and H. Herlufsen, “Windows to FFT analysis (Part I)”, Technical Review 3, Bruel & Kjaer, 1987.